one guy can commit over a $1B Medicare fraud? Good question… how can one guy do that much? Part of how he got away with it was bribing others to participate so it wasn’t just one guy doing this it was really a network of illegal conspirators. Different reports say he ran 20 or 30 nursing homes and assisted living facilities. They say the fraud goes back 18 years. Its unclear how they get to $1.3B. Was that $1.3B he over charged people? Or $1.3B that was fraudulently paid? Above says he billed $1B and Medicare paid $500M. So maybe its only $500M? Or maybe its $500M from Medicare and $800M from other insurance and out of pocket? But either way spreading $1B was spread across 18 years in 20-30 facilities with maybe 200 beds per facility. So we’re in the ballpark of $10k per resident treated in fraud. Or if it was really just $1B billed and $500M paid then half that. They also said some of the fraud was unnecessary procedures and unnecessary care. They would admit patients who didn’t really need nursing home care and charge for it. Nursing home care can be 1000’s a month so if maybe 10% of the residents didn’t really need to be there across 20+ facilities then that would add up to lots of unnecessary charges very quickly. It also says the guy in question profited $37 M from all the fraud. Thats only 3-4% of the total alleged number. I’d imagine then that most of the fraud was unnecessary care that he profited from rather than outright false charges. I’d imagine that its easier to get away with unnecessary care than outright bogus claims. If auditors investigate then theres a patient and records of care and the argument is against a doctor who claims the care was necessary. But the doctor was bribed and complicit in the fraud. For guardianship there are pretty much no controls whatsoever. Anybody can be a guardian. They’re frequently appointed by judges who rubber stamp the requests due to lack of knowledge or time to process them. It’s impossibly broken and ripe for abuse. And nursing homes are pretty much like asking the fox to guard the chicken coop. You have a captive audience of elderly people who are easily taken advantage of and you’re not spending their money (which there may be restrictions to if they have powers of attorneys) but billing Medicare for whatever you can get away with. CMS is only scratching the surface in their oversight efforts by looking mostly at staffing and not prescriptions and procedures being billed for. The fact that it took 18 yrs and $1B in fraud to catch that guy tells you all you need to know about how effective CMS is. The scope of this one is even larger. 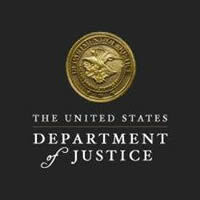 >100 companies 24 individual defendents and they solicited 100’s of thousands of seniors. He has support from four White House rivals for a single-payer plan to expand medical coverage. The question is which of the Democrat candidates don’t support the takeover. Of 14 Democratic senators who have signed on this time, four are competing with Sanders for the Democratic nod: Kamala (Kommie) Harris, Cory (Spartacus) Booker, Kirsten (two-face) Gillibrand and Elizabeth (Pocahontas) Warren. In all of these estimates, patients and private insurers would spend far less, and the federal government would pay far more. Uh, let’s see. If it’s “for all” then how is “patients’ spending” different from “the government’s” spending? Oh yeah, I get it. Modern monetary theory and all that. The government will just create the money and no one will ever have to pay for it. Here’s how Bernie would pay for it. And that’s if it comes in at or under budget, which has happened to which government project ever? But don’t worry, most of it will come from the Evil Rich. How’s that freedom thing going? I guess it’s just one more cost of socialism. They seem to be conflating the differing Democrat proposals.